Gizmo Dorks metal copper fill filament is a new filament that allows unique prints with a metallic look and finish. 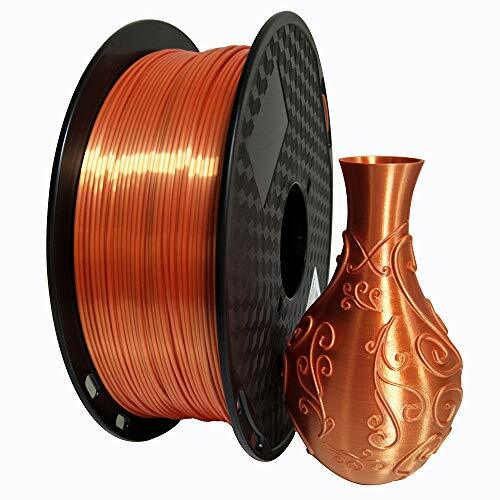 Metal copper filament is a unique blend made by combining real copper powder with PLA filament, and the filament prints very similar to normal PLA. The filament can be printed on either heated or non heated build plates. It’s suggested to print on blue painters tape, and there is essentially no warping. 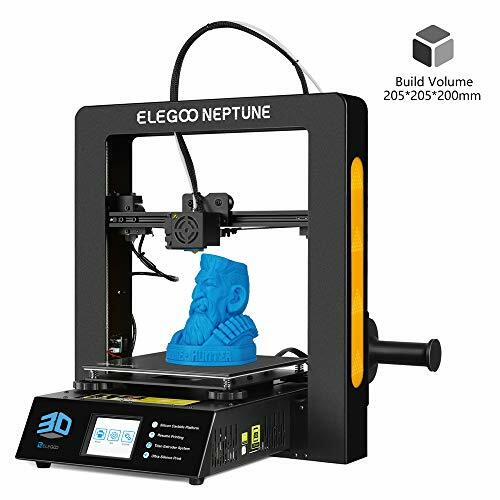 If a heated build plate is used, then please set it to 60 C, and the print will have an increased adhesion to the platform. Metal copper fill can also be printed on regular glass, glass with glue stick, or kapton tape. Heat migration through the filament should be a very important consideration when using metal copper fill. 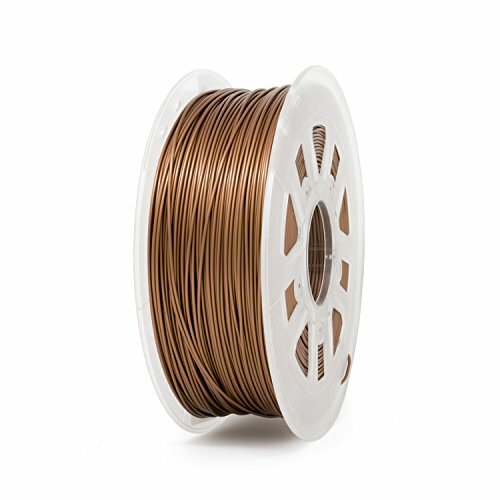 Since the filament has real copper powder, heat will travel through the filament faster than normal. The copper filament will heat up in the hot end faster and cool down on the platform faster as well. Since it heats up faster, generally the hot end can be set to extrude at lower temperatures while allowing for faster print speeds. Normally, faster cooling when leaving the nozzle means means better performance on parts that overhang such as a chin or nose. Sometimes there are instances where heat migration through the filament is bad. For example, the heat might migrate up through the filament causing it to expand creating friction. Metal copper filled prints can be post processed. Start with using coarse steel wool to polish the surface. Remember this is just a polish and there is not that much pressure needed. Follow it up by applying a thin coat of black spray paint and immediately wiping it off with a cloth. This will leave the places that are harder to reach with a slight black tint giving it a beautiful contrast. Lastly, a copper polish can also be used to give a brighter shine and give some patina. No polishing needed, printing at a high detail results in a beautiful finish.